No 6 Seaview Heights01485 534267work Self-cateringNo. 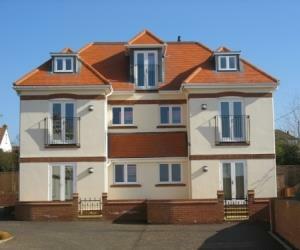 6 is a superb, ground floor apartment situated in the second block of this attractive new development at this popular end of Hunstanton, finished with high specifications overlooking the cliff tops. There are secure gated grounds with 24 hour security web cam, totally enclosed garden, BBQ, patio area with picnic table and benches. The beach is just a ten minute walk and parking is within the grounds. With ramps and patio door access into the property, the apartment is suitable for disabled visitors. There is also a kennel which is available for any canine visitors. Benefiting from all day sunshine, the patio area is ideal for relaxing, and safe for children. With sensation views of the Wash with birds flying to reserves close by, and Lincolnshire Wolds plus the famous sunsets, this situation is ideal for a holiday at any time of the year. Having oak floors, full gas central heating, recessed ceiling lights and tiling throughout, the accommodation is of a high standard. Sleeping 4 plus baby comprising; entrance through patio doors into lounge and open plan kitchen. The lounge has a dining area; freesat, flat screen TV/DVD; and the fitted kitchen area has built-in appliances: electric oven, gas hob and sea views. Bedroom one has a double bed and double doors to rear patio. En-suite shower room with shower, washbasin and WC. Family bathroom with bath, shower over, WC and washbasin. Bedroom 2 has bunks. Both bedrooms are fully carpeted. No. 6 is a superb, ground floor apartment situated in the second block of this attractive new development at this popular end of Hunstanton, finished with high specifications overlooking the cliff tops. There are secure gated grounds with 24 hour security web cam, totally enclosed garden, BBQ, patio area with picnic table and benches. The beach is just a ten minute walk and parking is within the grounds.